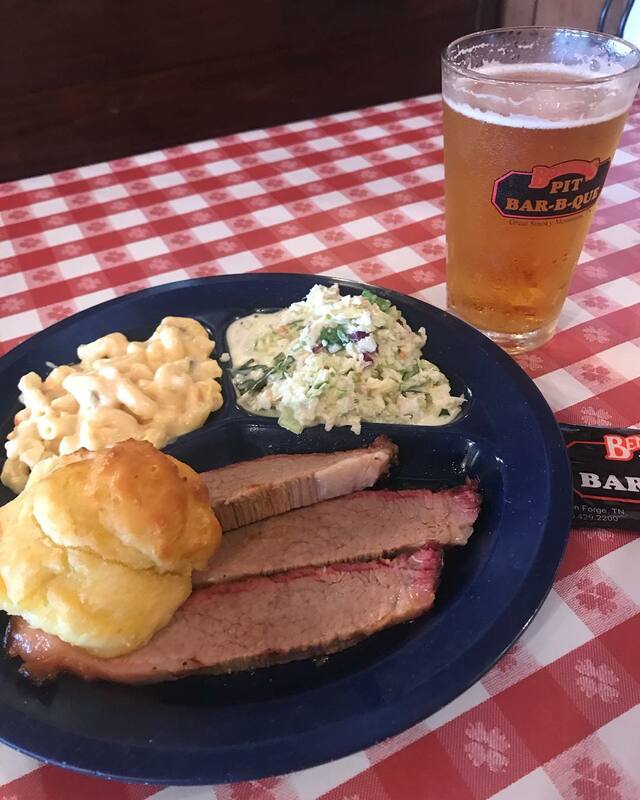 Bennett’s Pit Bar-B-Que in Piegon Forge is centrally located and a perfect way to satisfy your craving for Southern BBQ. 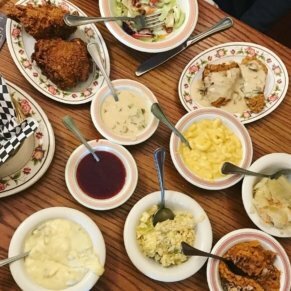 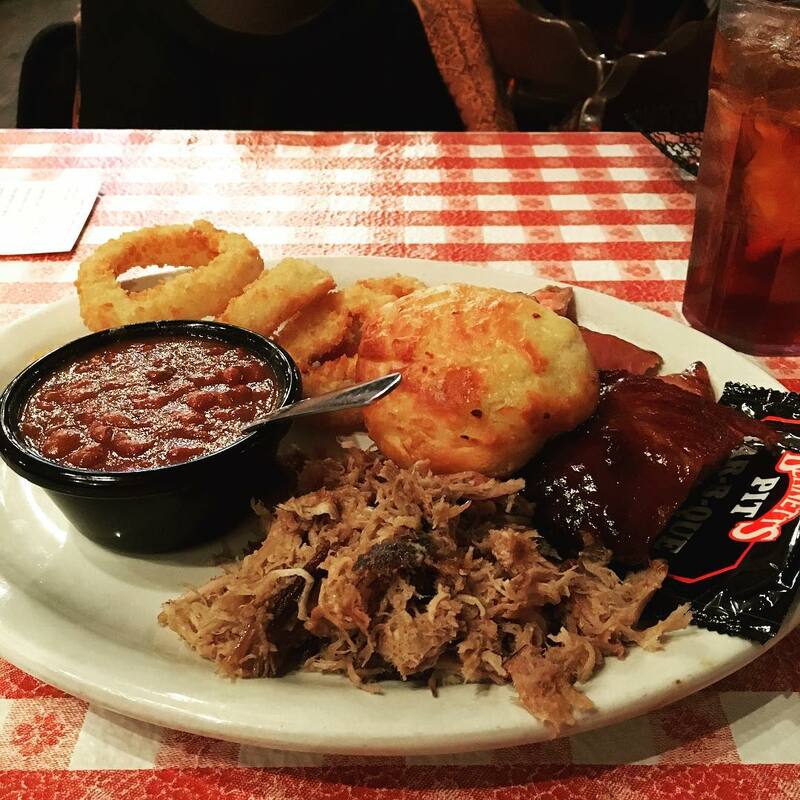 If you enjoy a casual atmosphere, smoked meats, and classic Southern fixins, Bennett’s is not to be missed. 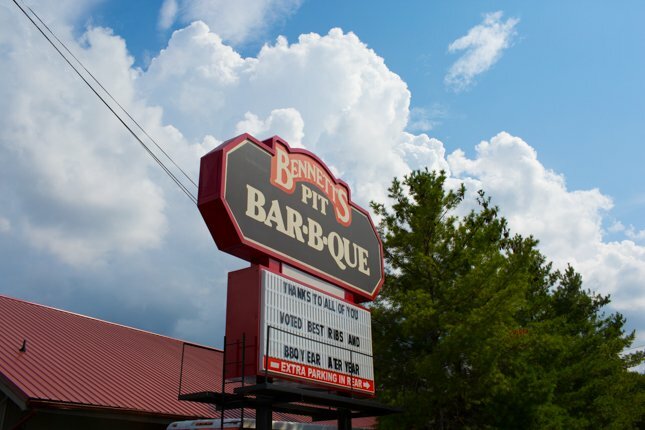 Bennett’s Pit Bar-B-Que has been serving hickory smoked pit barbecue for over 20 years. 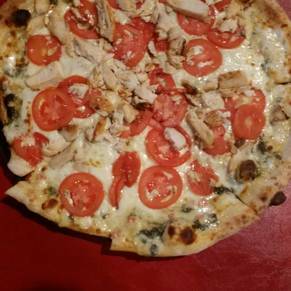 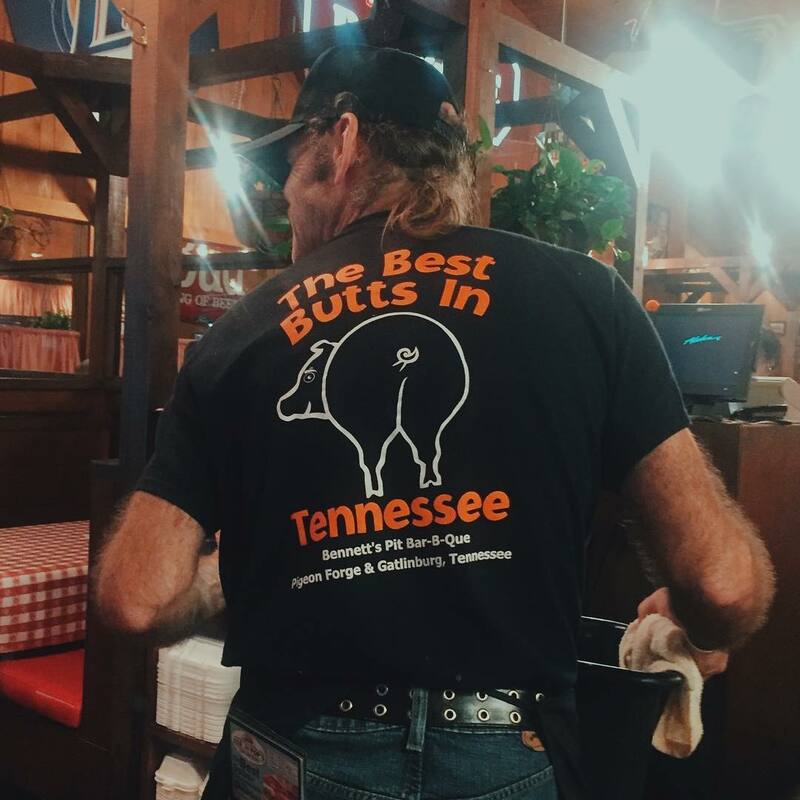 This Pigeon Forge restaurant is located between traffic lights #4 and #5 on the main Parkway. 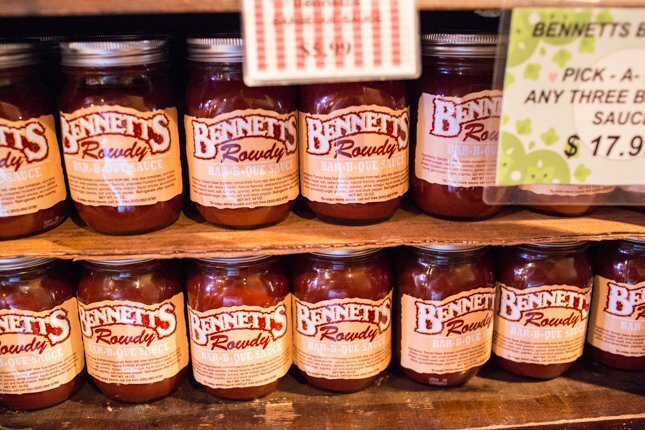 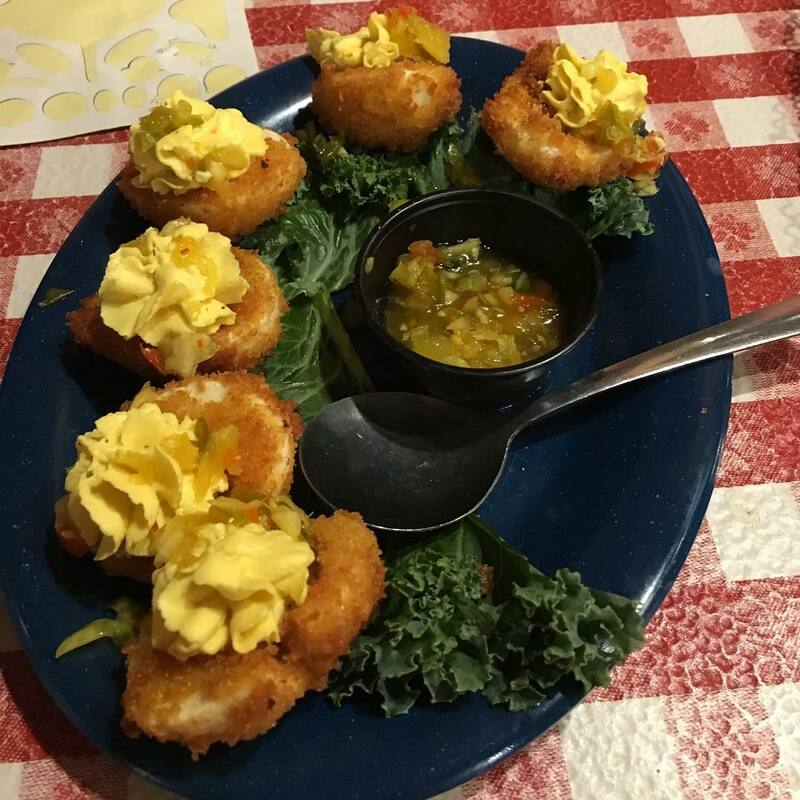 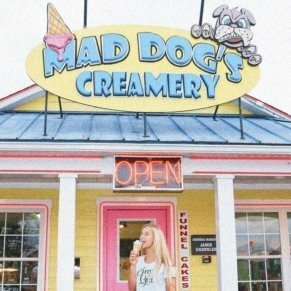 The laid back setting, reasonable prices, down home service, and family friendly atmosphere make Bennett’s a favorite of locals and visitors alike. 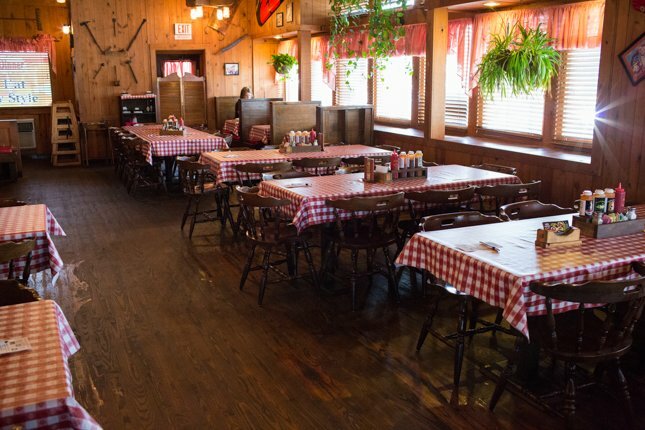 Many of the servers have worked at Bennett’s for years and provide laid back, but consistently friendly service. 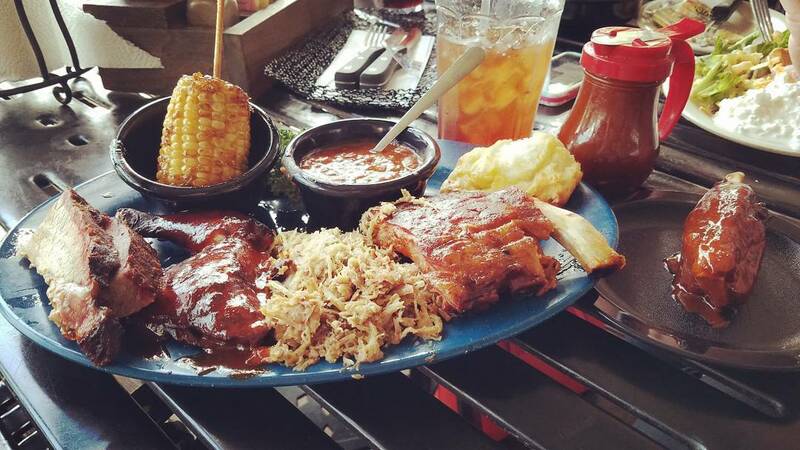 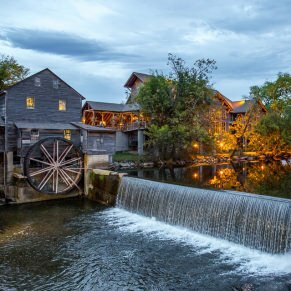 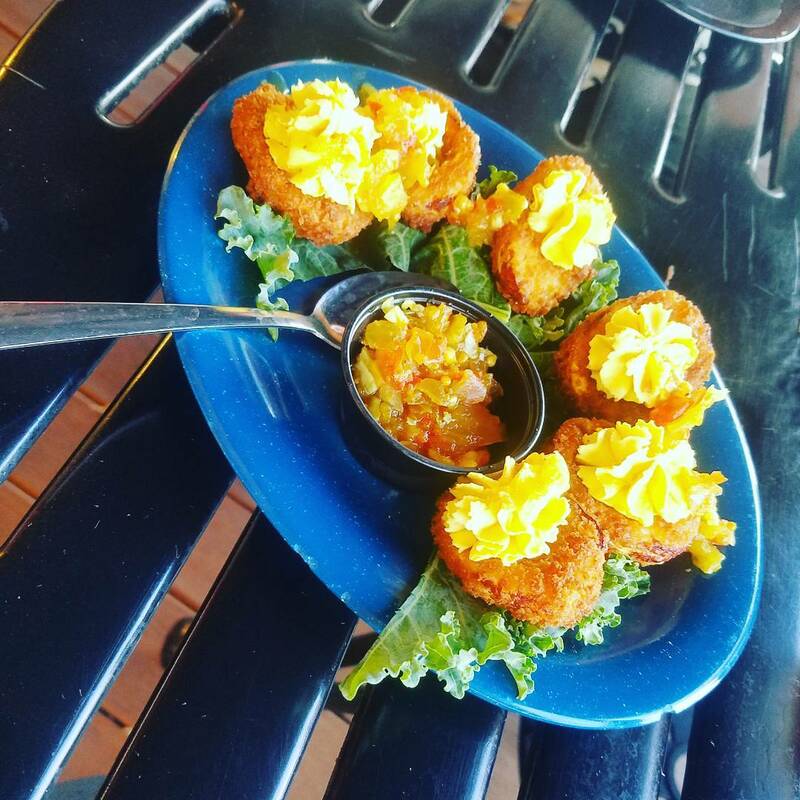 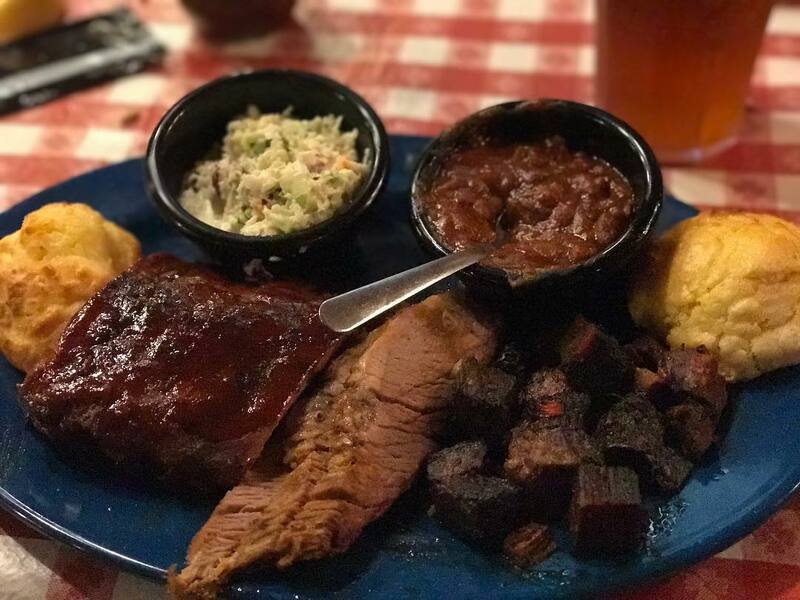 Given that the restaurant boasts the best ribs and BBQ in Sevier County (and has awards to back up those claims), guests expect perfectly tender, juicy, and smoke infused meats. 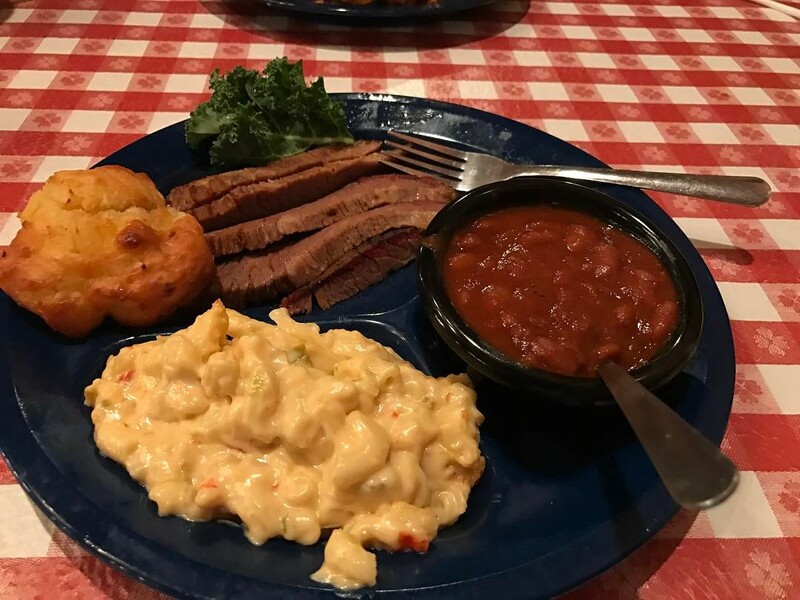 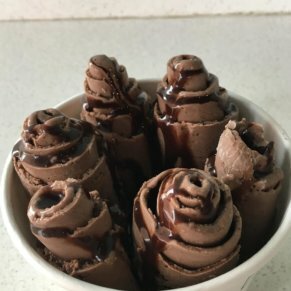 Although the quality of the barbecue has varied slightly during different dining experiences at Bennett’s, this restaurant continues to draw me back. 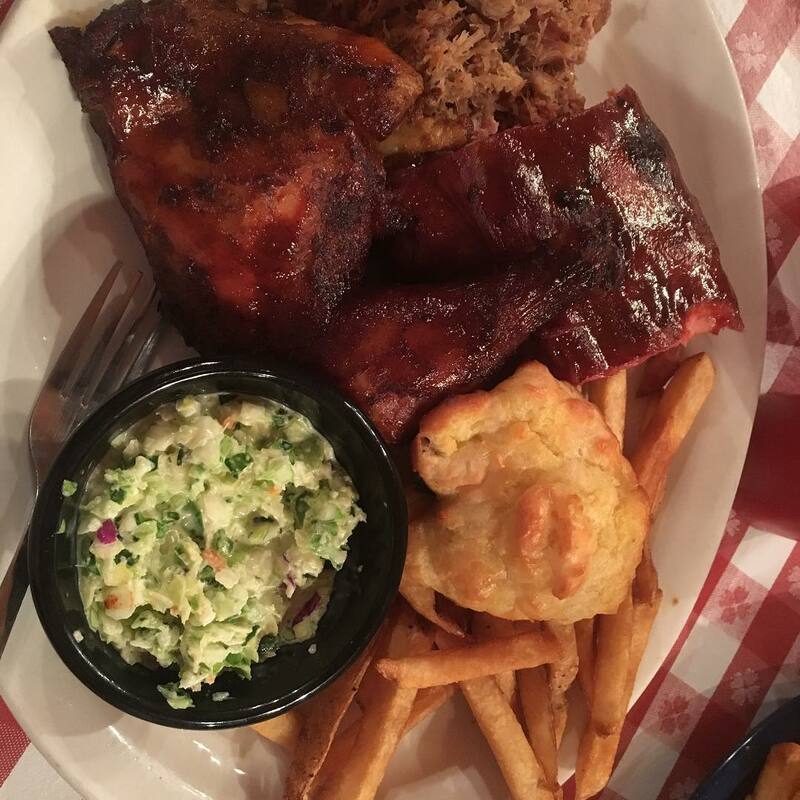 Although most Southerners think of piles of moist pulled pork or fall-off-the-bone tender ribs when they envision barbecue, one of my favorite meats at Bennett’s is the smoked chicken. 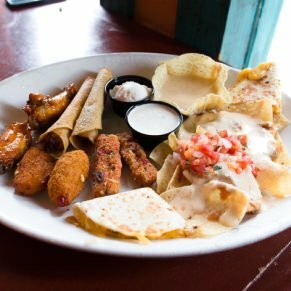 Famous Hickory Wings – An escape from ordinary wings, these small, but flavorful chicken wings and drumettes are slow smoked and served with blue cheese dressing and celery sticks. 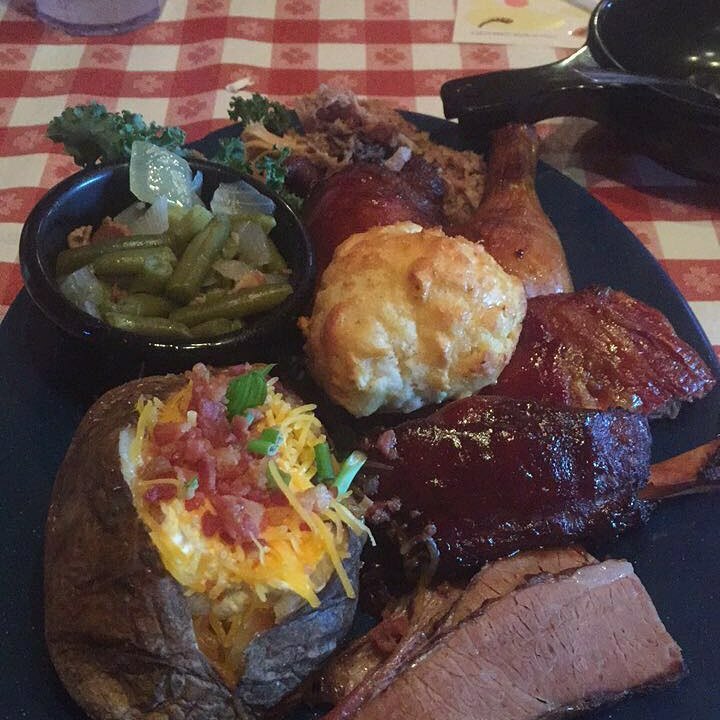 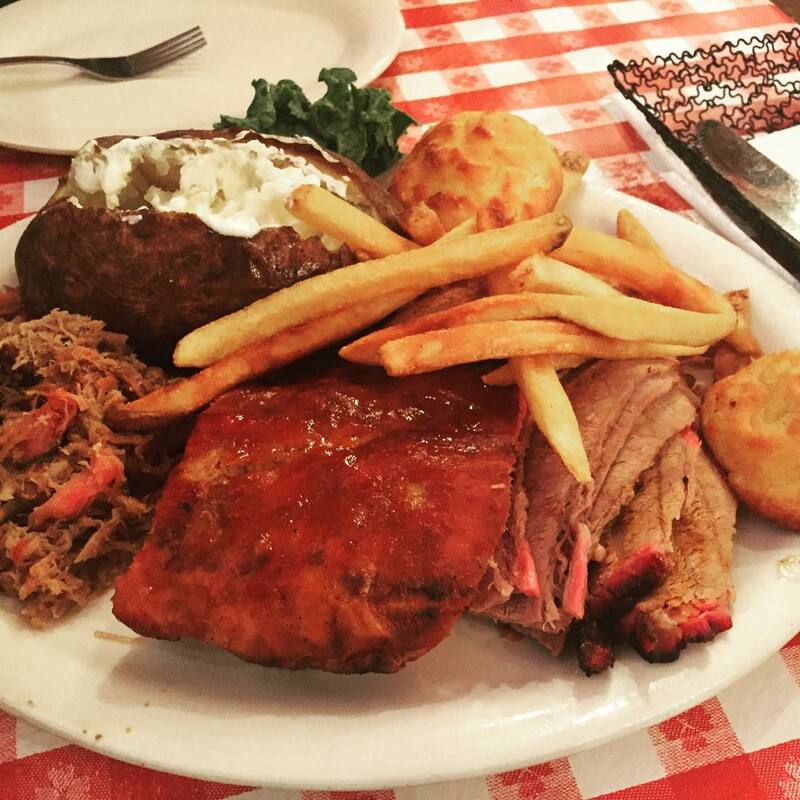 Texan Sampler – A feast of five hickory-smoked meats including baby-back ribs, beef brisket, sausage, chicken, and pulled pork. 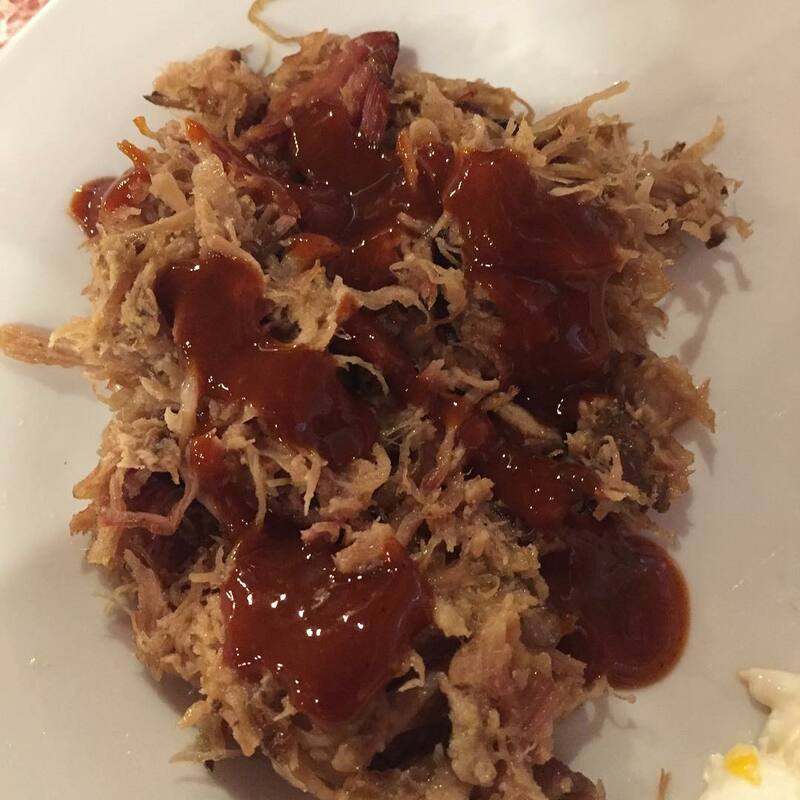 Pork Shoulder – Pulled, hickory-smoked pork that you can enjoy with any of the delicious BBQ sauces provided on each table. 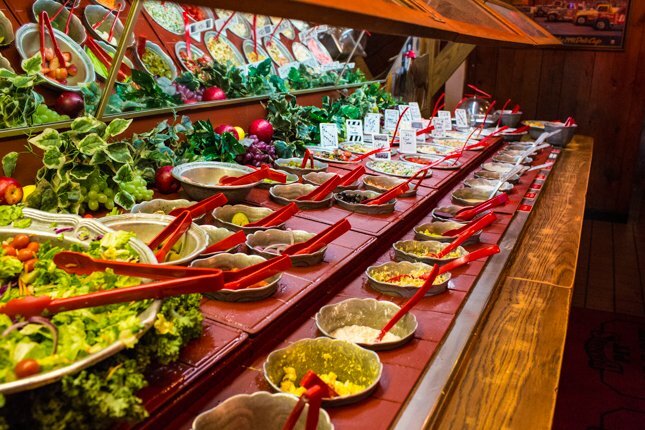 If you come with an extra hearty appetite, you can opt to add unlimited trips to the fresh salad bar onto your entree for $3.99. 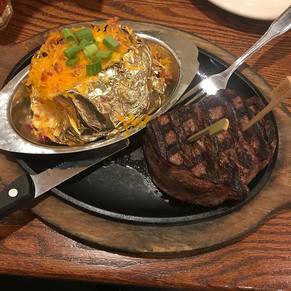 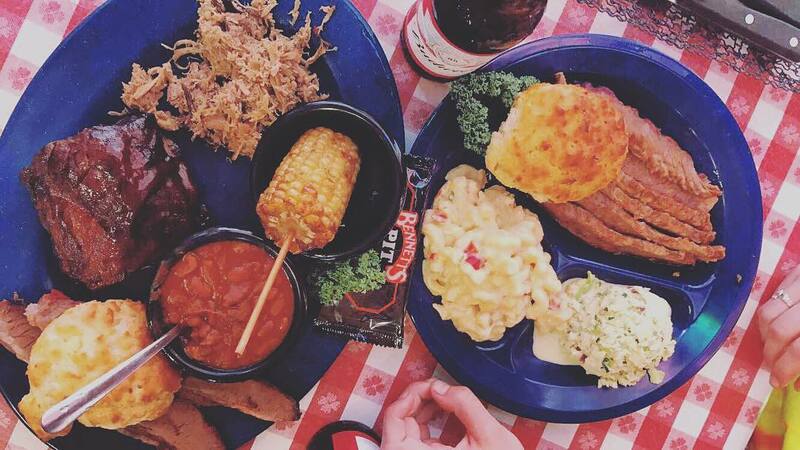 Non-barbecue lovers also have some delicious options such as steaks, grilled chicken, and chili. 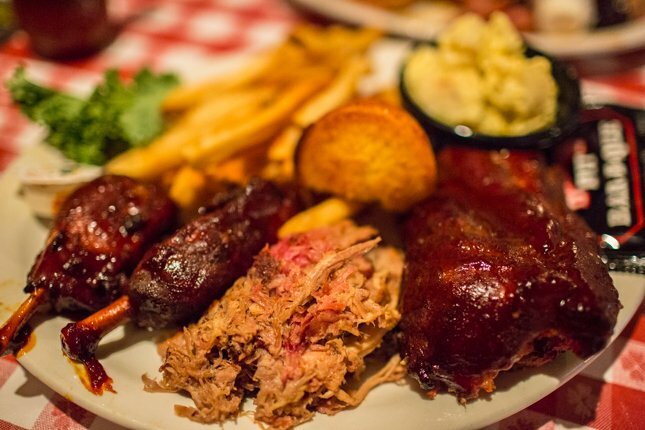 Just as the menu states, Bennett’s does offer substitutions on sides (for an additional fee), but does not allow meat substitutions on combination platters. 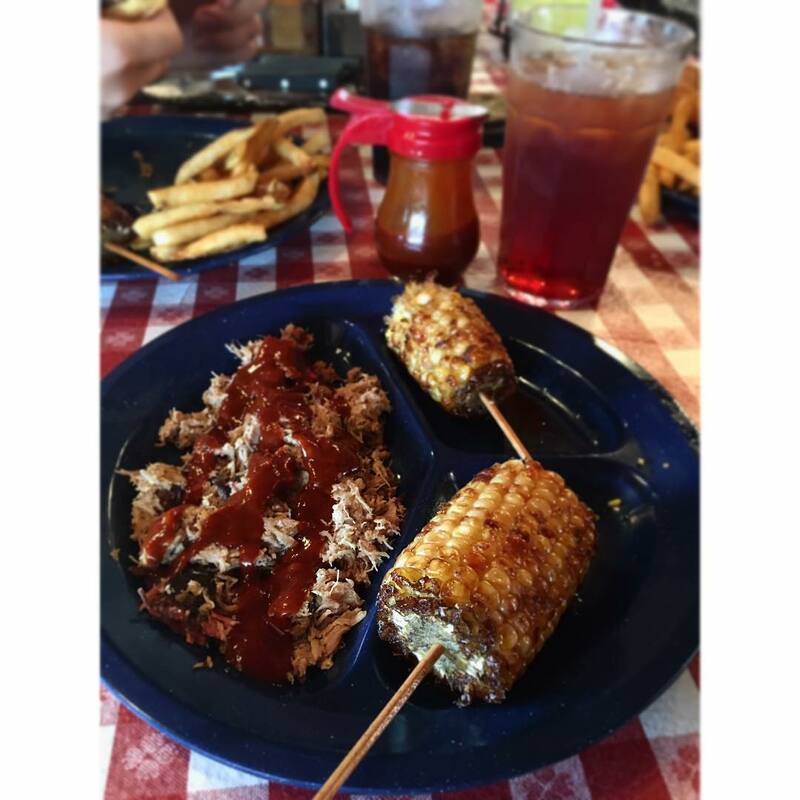 Messy eaters, large groups, and BBQ fanatics of all ages are welcome. 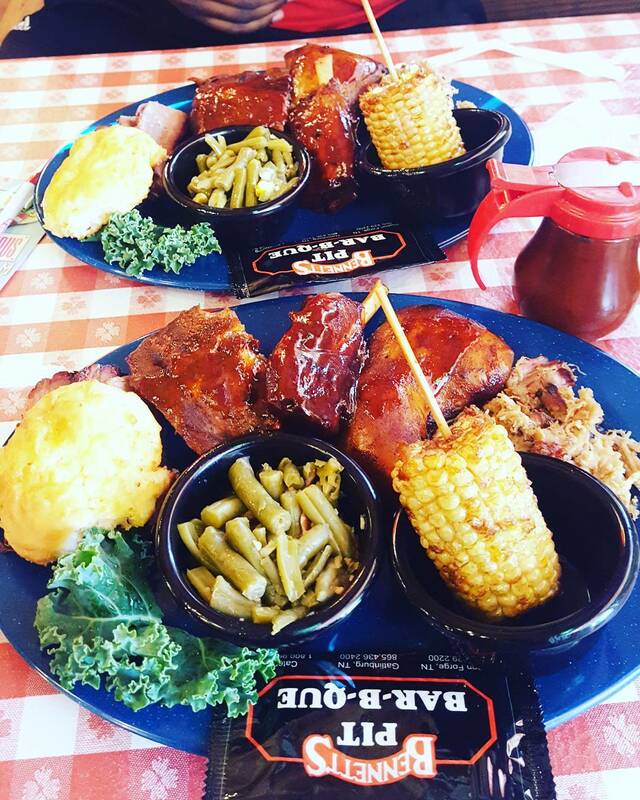 In addition to serving lunch and dinner, Bennett’s also offers a daily breakfast buffet. 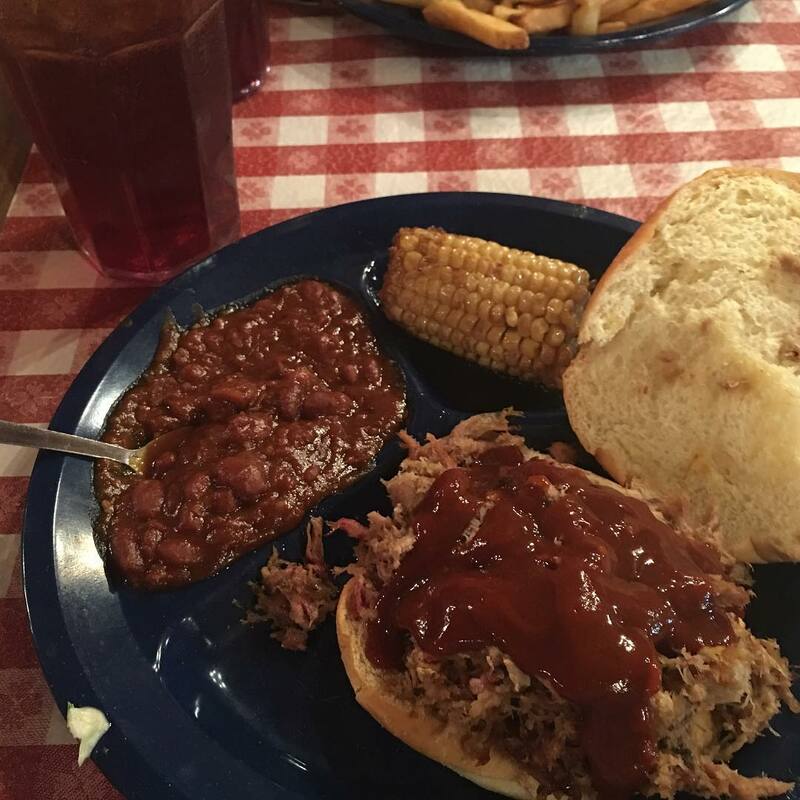 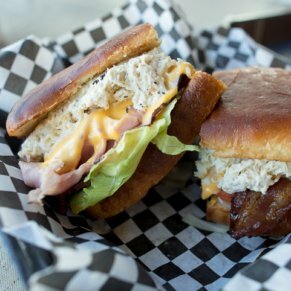 This barbecue restaurant offers Southern hospitality, a casual atmosphere, and great food — all for a reasonable price. 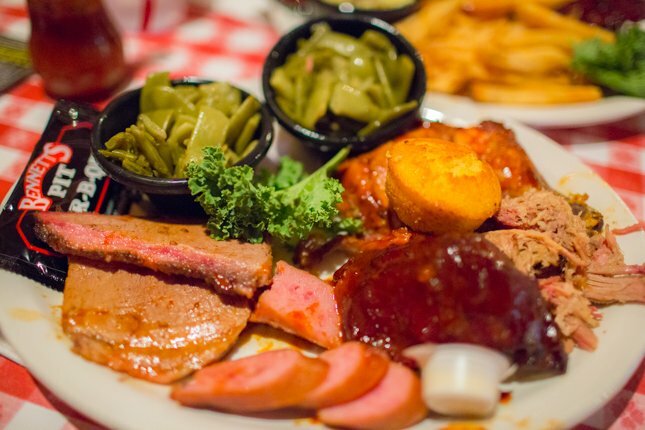 Two adults (or one extra hungry traveler) can split a large combo meal such as the Texan Sampler or Smokehouse Combo, making the price per person very reasonable. 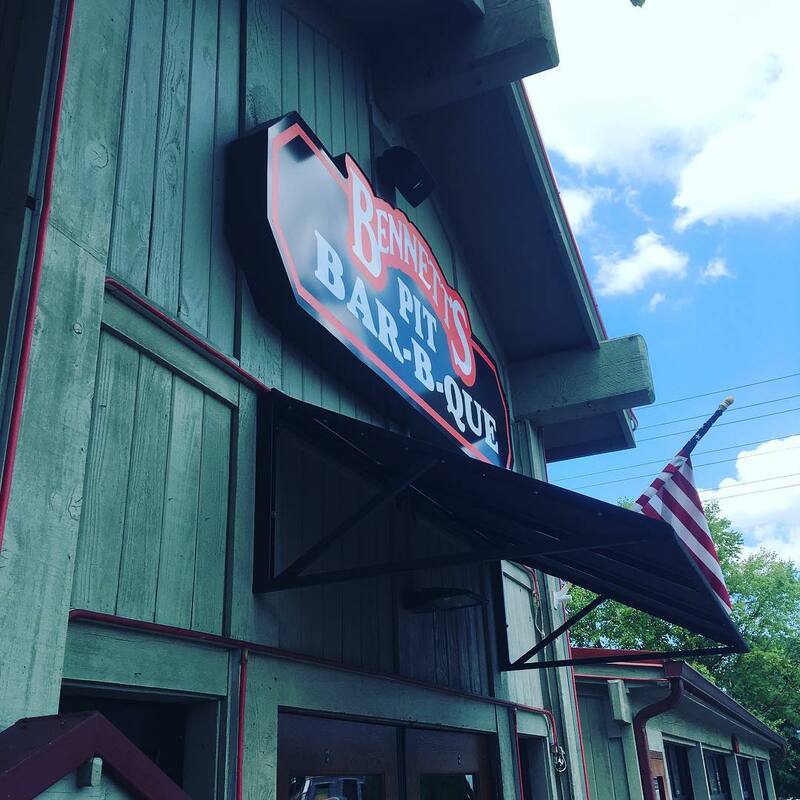 Although the front parking lot is often full, there is additional free parking behind the restaurant. 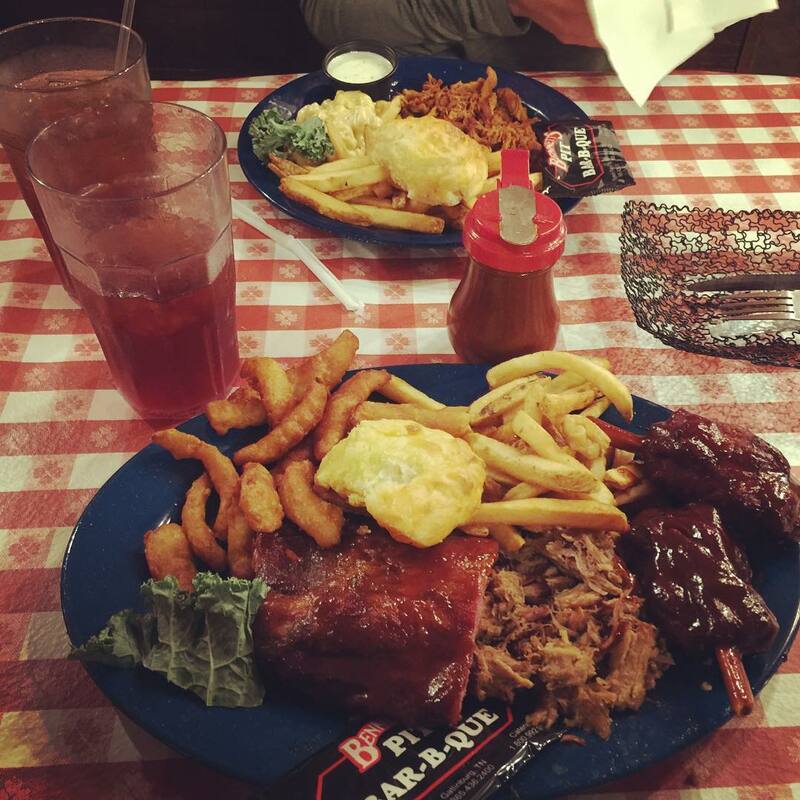 Bennett’s BBQ in Pigeon Forge is conveniently located on the main Parkway between traffic lights #4 and #5 at 2910 Parkway.